As Season 2 draws to a close, Supergirl has to sacrifice a life with Mon-El to save humanity after her combat with Rhea doesn't quite go to plan. Unfortunately, the concluding chapter to this season doesn't deliver enough high stakes or original conflict to make it a successful finale. With Superman being infected with silver kryptonite, Supergirl's battle with her cousin felt a rather blatant attempt to zombify him and his presence didn't really fit into the fight between Supergirl and Rhea. But, his emotional support for Kara after Mon-El's departure does provide some moving scenes, further strenghtening their bond. The final duel between Supergirl and Rhea wasn't as exciting or powerful as I thought it would be. There was a lack of dynamics within the fight sequence itself. However, as the Daxamites began to attack multiple areas of the city, the rising threat posed was built-up well; propelling Supergirl to use Lena's intelligence to convert Earth's atmosphere to a poisonous lead substance that would kill very Daxamite, forcing them to flee. The sudden return of M'gonn didn't slot within the context of the story but the addition of the white martians did give team Super a higher chance of defeating the Daxamites. I was disappointed that Lena, Alex and Maggie didn't have more of an active role within the last episode, seeing as they've been such a huge part of this season's success. It was wonderful to see Alex propose to Maggie, I can only hope their relationship continues to grow and evolve. 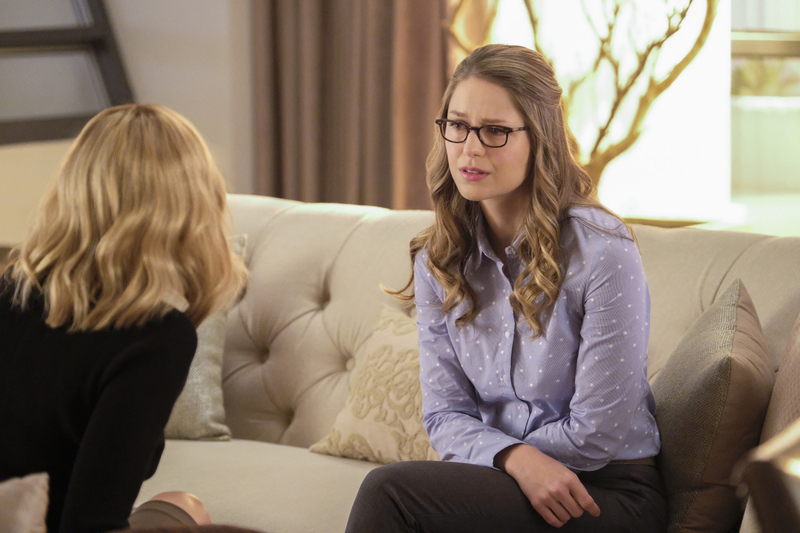 Lena's involvement was such an important part to the saviour of Earth, and I cannot wait to see where her friendship with Kara will venture into and what challenges lay ahead for her. One of the strongest moments had to be the last scene with Supergirl and Mon-El. Melissa Benoist and Chris Wood performed remarkably well; showcasing a hugely emotional and powerful scene full of tragedy and sacrifice. Neverless, She Persisted managed to highlight how strong Supergirl really is, and that the most personal moments prove her real strength. This season has given us some brilliant characters; Lena, Maggie and M'gonn and succeeded in developing the main characters stories to new territory. The show has got a handful of complex and fantastic characters, and it's these that the writers should focus on because they really are 'super'!